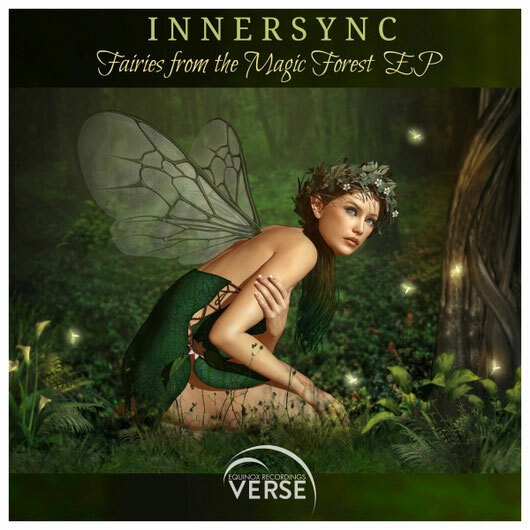 VERSE is the home of InnerSync and his Elves. We are sure all his many fans will be delighted with the Fairies from the Magic Forest EP which has 4 wonderful Uplifting Trance tracks from this very talented Romanian producer . The title track Fairies from the Magic Forest is the latest of our very popular elvish releases from our Elf Lord InnerSync. These are in a celtic style of Lord of the Rings meets Trance. They paint in the mind scenes of sparkling streams and magical waterfalls within a lush green forest canopy - a land of magical creatures and spectacular scenery . This track has beautifully created, other worldy vocal samples , irish whistle , bells and soaring strings but at 138 BPM it still has plenty of energy . The Second track Finally There is a lovely track at 138 BPM with a great driving intro, atmospheric break with beautiful flute, soaring strings and a very emotional build with distant ethereal choir . The Third track Beach Breeze at 140 BPM has a good driving intro with vocal chops , lovely atmospheric break with beautiful piano and a wonderful summery feel . The Fourth track Blue Reef is another summery track. This is a little gentler at 134 BPM with lovely strings and just wonderful balearic guitar and euphoric build . This paints pictures in the mind of calm crystal clear azure water below a cloudless blue sky. Here at VERSE we hope you will love this really magical ep and continue to give us your much appreciated support .